When it comes to maintaining healthy air quality and a comfortable temperature in your home a high-quality HVAC unit is critical. If you find your existing system does not perform at an optimal level, it could be time for you to consider buying a new HVAC system. With today’s technology, HVAC units are energy efficient, controllable from a phone or computer and provide unique options that older models lacked. Because an HVAC system is a vital component in the comfort and safety of your home and family, you may have some HVAC install questions that we are here to answer. What manufacturers do you carry? You should seek out a company that offers more than one brand to ensure you receive the proper and best-suited system for your home. Moreover, brands offer various options including ductless split systems and an all in one HVAC unit. Are you licensed, bonded and insured? When you are undergoing a new HVAC install you want to make sure it gets completed correctly. Improper sizing or installs lead to an HVAC emergency or problems in the future. In addition, having a company that has a license, and insurance protects you from shoddy quality, faulty work. It also prevents injury to technician and damage to your home or property. Do you offer a warranty or guarantee? Having one of these helps put your mind at ease knowing that your HVAC system is in reliable hands. Also, if anything ever goes wrong with your system, you simply call the company who installed it for you. How to clean different parts of your HVAC system? Including how often should the filter be changed, how to change it, and type of replacement? Debris or dirt within the system restricts airflow and free movement of parts, resulting in a decrease in the efficiency of the unit. A dirty filter will also negatively impact your indoor air quality. What other steps do you recommend to take to improve energy efficiency and HVAC performance? If you seek ultimate performance from your HVAC system and wish to save money on your energy bill, the technician may suggest better use of or upgrading your thermostat. It is recommended that you repair any air leaks around doors and windows with weather stripping, caulk or expanding foam. How often should it be serviced? And when? 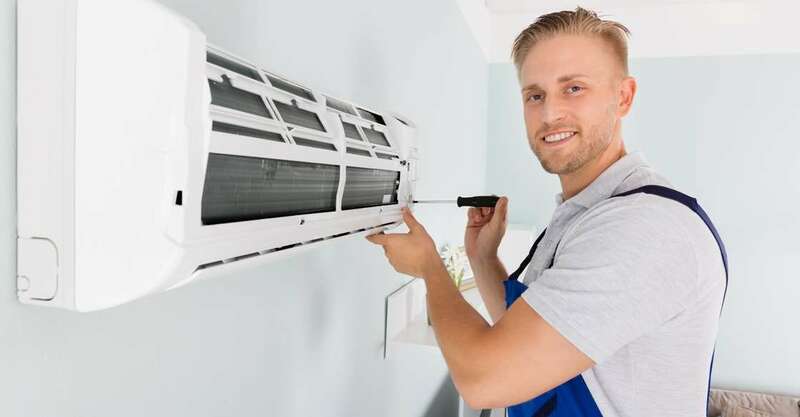 Typically, technicians recommend that HVAC units get serviced and maintained twice a year. Once in the spring and once in the fall. As the homeowner, you should keep a written log of any issues or questions you may have to address during those visits. When will the technician be back? A follow-up inspection should be included in a quality HVAC install and usually occurs about 30 days later. By asking these essential questions, your technician helps you understand your new HVAC, and what steps need to be taken to ensure your system performs at an optimal level and your family feels comfortable and safe within your home.